Time to wriggle into your spandex, grow your hair and get ready to do some headbanging because Swedish one hit wonders Europe are coming to Tenerife this spring. 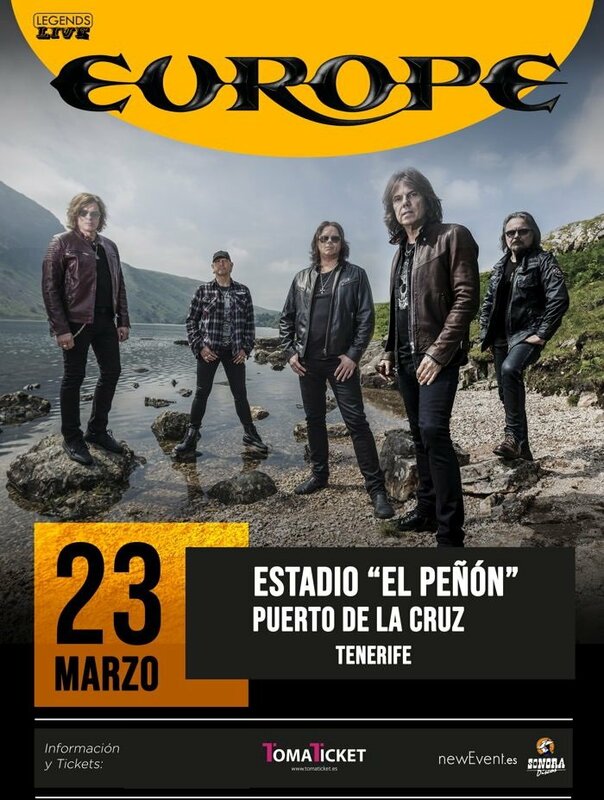 The Final Countdown is ticking down to their concert at the El Peñòn stadium in Puerto de la Cruz on Saturday March 23rd 2019. Privileged access tickets cost €79 while basic entry is priced at €39. To get yours, click the link below or pop into any MARYPAZ shoe shop.